Looking for fixed charging points has become a thing of the past! 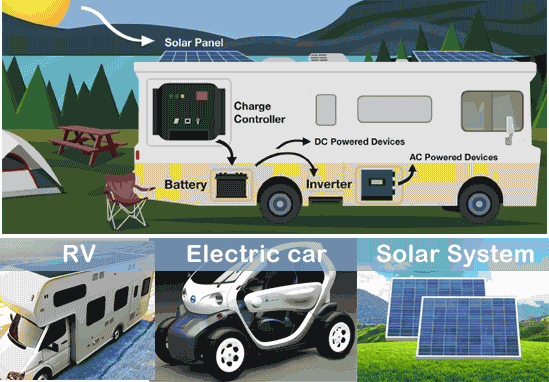 BSLBATT latest lithium ion battery, the ‘LFP12V-90AH’, allows you to enjoy the freedom of your camper in a hassle-free and relaxed manner. When watching TV you can prepare a pot of coffee while the air-conditioning provides some cooling. Worrying about how long the battery will last is no longer necessary. The new battery offers huge energy reserves, weighs substantially less, is easy to install and will last considerably longer than other batteries. A battery with much more energy than ever before! What is worse than undertaking a trip and continuously worrying about your energy provision? It's not only annoying, it also limits you in your freedom. This is something we, at BSLBATT, understand only too well. For carefree travelling we have developed the BSLBATT LFP12V-90AH; a custom-made lithium battery. The LFP12V-90AH contains huge energy reserves and provides 100% usable energy. Thanks to a charging time of only one hour, you can hit the road without a worry in the world and fully enjoy the freedom of travel. The LFP12V -90AH is very user friendly. Thanks to its light and ultra compact format, it fits into the space of a traditional lead battery but weighs about 20 kg less! It will continue to work, even under extreme temperatures, without any problems. So, enjoy the day without any disruptions, no matter where you are! ●Cost effective: thanks to very high discharge voltage platform (above 12 volt) and stable discharge curve, our LiFePO4 battery pack 12.8V/90Ah≈lead acid 12V/150Ah battery, vary base on different load, it’s especially favorable to the high voltage cutoff application. ● Ultra-Safe: the LiFePO4 battery pack have more thermal and chemical stability, is widely used on E-bus and backup storage battery system in telecom, also built in short circuit, over current, over charge, over discharge and over temperature protection. ● Environment friendly: no pollution or environmental hazard, mandatory recycling does not required. ● Very light weight: only one fourth of equivalent capacity lead-acid battery. ● Extendible: easy to be extended in parallel or in series to get more capacity or higher voltage. ● Maintenance-free: no need to maintain the battery regularly. ● Compatibility: it can be easily connected with the same battery charger, inverter or electric appliance like a regular 12 volt lead-acid battery since they have very similar voltage and same terminals. If you need more in-depth information, contact one of our battery specialists today! If you're looking to purchase an battery, contact us anytime at (0086) 752-2819 469 or email us now !